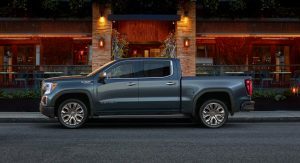 Americans Paying Luxury Car Prices For Pickup Trucks, With Average Transactions Up 61% From 2009! 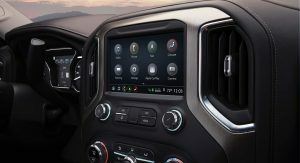 We live in a world where range-topping versions of full-size pickups have a starting price that exceeds $50,000 – and that’s before ticking any boxes on the options list. Some fully-accessorized pickups can retail for more than $75,000, which is absurd when you think that a Lexus LS luxury sedan starts at around the same price. This makes you wonder: doesn’t paying more than fifty grand on a luxed-up pickup truck actually defeat the purpose of a vehicle that was built as a workhorse in the first place? 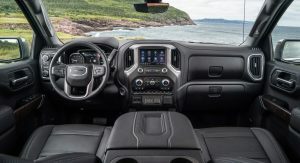 Some people don’t seem to mind paying that kind of money on pickups in 2019, but $50,000 pickups were very rare 10 years ago. So what happened in the mind of the consumer and in the marketing strategies of automakers in the meantime? Well, the thing is carmakers have consistently raised prices, offering customers better engines, more upscale interiors, and premium options. They then found out that consumers were willing to play that game, which is why we now have some luxury trucks that cost more than $75,000. 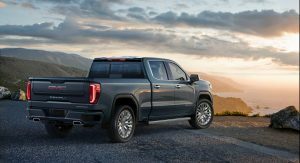 If you thought that only a small fraction of buyers spend that kind of money on a pickup, you’d be wrong. The Wall Street Journal cites data from research firm J.D. 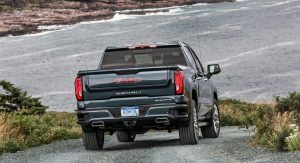 Power that reveals pickup buyers paid more than $44,000 on average for a full-size model. That’s 61 percent higher average price than a decade ago. To put things in perspective, the average price for all vehicles industry-wide rose by a much lower 28 percent during the same period, to about $32,500. 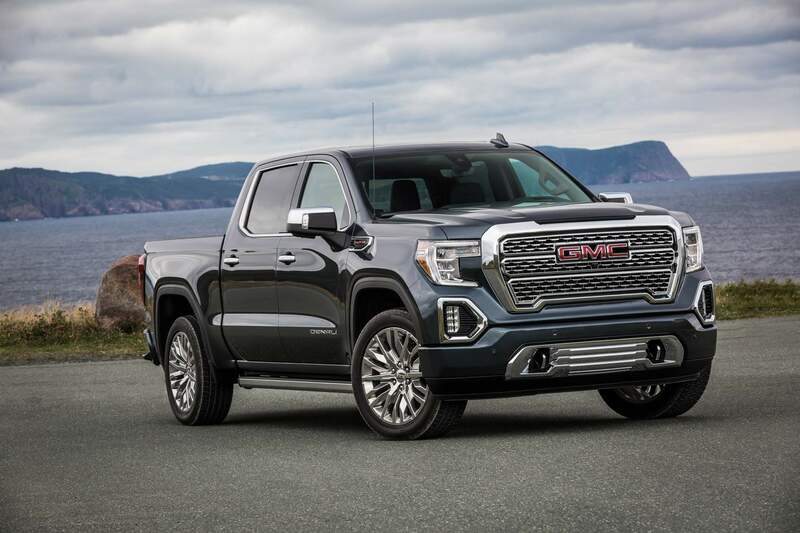 Rising pickup truck prices in the U.S. have helped Detroit’s Big Three offset losses from unsuccessful ventures abroad and slow-selling passenger car models – ironically, brought about by the automakers themselves as they focused on pickup trucks and SUVs. Amazingly, GM, Ford and FCA build more than 90 percent of all full-size trucks sold in America, aided partly by the 25 percent tariff on foreign-made trucks. But as they grow more reliant on pickups for their prosperity, they also become more vulnerable. Sure, profits from truck sales may fund their future plans with electric and self-driving cars but what would happen if gas prices suddenly started to rise? 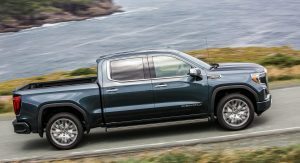 One could say the Big Three are prepared for that scenario as they have introduced more efficient midsize pickups in recent years. But with that comes another problem: more pickup models on the market means prices should eventually go down. 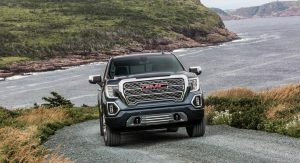 Interestingly, GM President Mark Reuss recently said carmakers need to be careful not to push truck prices too high: “The engineering challenge will be how we achieve more upside in the trucks without adding more cost and hitting that price ceiling.” So, it’s not just us who believe that this thing is getting a little out of control and may backfire badly. 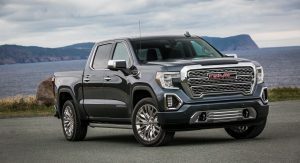 Whether automakers will manage (or want) to put a ceiling to their pickup truck pricing, however, is anyone’s guess. People can obviously afford it. 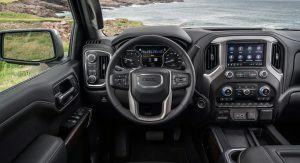 Full-sized trucks continue to sell in vast numbers and the trucks are just carry-on getting better and better year-on-year. Where I live, there are dozens upon dozens of Ford Raptors just driving down regular city streets. I know in my mind the most off-roading they’ve done is maybe a light hiking trail. However, it’s no different than seeing someone drive up in a Porsche 911 when you know full well they’re just sitting in stop and go traffic day in and day out with it. To each their own, if you wanna pay $75k for a pickup truck that you won’t ever use it for it’s intent then by all means go ahead. If that was your dream car to get then I’m happy for you. But two things: 1. Don’t act like you got it to do all this off-roading you will never ever do and 2. Don’t use it as a bragging tool to show how well-off (or vice versa how financially stupid) you are. Those are two things I never like. Phil, many of those people just had to buy them. Their egos doesn’t fit into smaller vehicles. Them buying it mean Ford will continue making them. I too agree, I can’t stand the fenders on the raptor for every day use. But I don’t mind people buying them for status because idI rather an American automaker pocketed that money than one of the Germans. My dad paid like $64k for his and if you drove it you would see why. Not only is it off road capable but it actually rides nice, has a great amount of power, has tons of tech, and is loaded with features and creature comforts. I absolutely love that truck. You can’t beat the s**t out of a Lexus or Audi at a construction site or an off-road trail. A luxe truck can now pull double duty like other vehicles can’t. 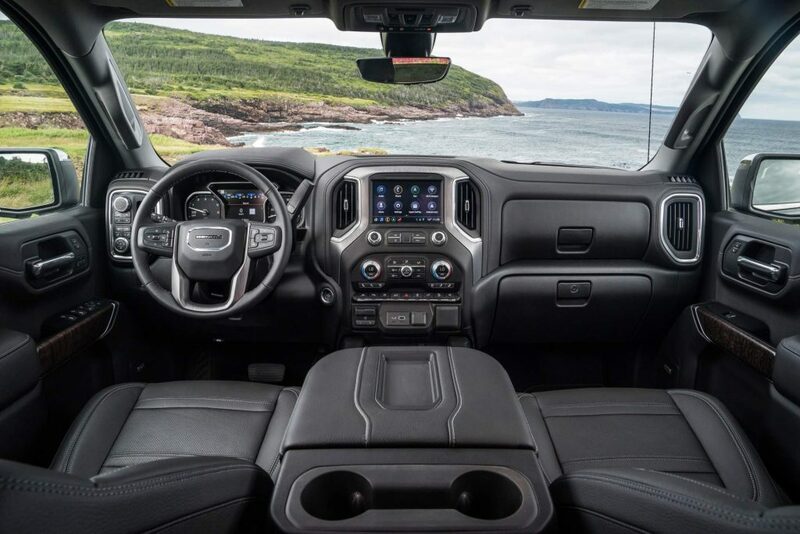 The question is, why wouldn’t you choose a truck over everything else? Because personal preference? I mean, I don’t need a pickup truck so there’s not much sense in getting one. You cant beat the s**t out of GMC or RAM at a race truck. A lux sport sedan (or wagon) can now get lap time like other vehicles can’t. The question is, why wouldn’t you choose a sport sedan (or wagon) over everything else? Why would I want a useless for me gas guzzling truck? 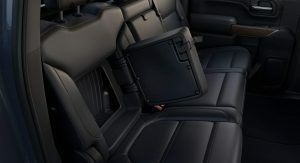 What I want to know is: What could you possibly store in that rear seat-back cubby hole? It’s an awkward vertical shape that to my mind is completely pointless. It was probably a feature the marketing department recommended. If it were my truck I’d put a gun in there or maybe ammo on range days. And if someone broke into your truck very few people would look there. Not sure these are considered as work horse any more. But what do I know…. Wait until oil prices will be rocketing. What then, another governmental help for short sighted big three? No, they’re using these profits to fund their EV programs. Right now EV’s aren’t money makers so you have to make hay while the sun shines. It’s a pretty new effort. The Volt was going to be cancelled regardless of the sedan apocalypse because it was crazy expensive to make (they lost money on every car). Components like the rearview mirrors were 4x more expensive to produce compared to the ones in a Tesla. You can’t be hard on Ford for ‘only’ offering a hybrid Mondeo. That’s really the industry norm from Mercedes to Porsche, until their full EVs come on the market. Yes Toyota did it 20 years ago, but what are Toyota doing now? Pretty much the same thing except now they offer a plug-in variant. Not huge progress from them at all. Ford, like most others have EV programs underway (their previous Focus Electric was really just a homogolation special) and their first production models will be launching by around 2020. Boy, you sure have a positive look on things. That’s literally what they are doing. Which manufacturers are we talking about here? Because I’m pretty sure GM is the only one of the big three that applies to and there’s no guarantee the Bolt will stay alive considering they killed the Volt. Every mass market offering from Ford will have a hybrid version by 2022. The Explorer and Escape this year, the F-150, Bronco, and Mustang next year, maybe the Expedition and Edge and Super Duty the year after that. Ford is also bringing out an electric performance SUV next year too, and other electric cars after that. 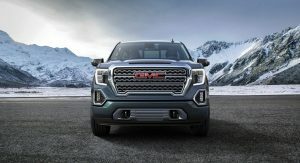 GM will also be moving in an electric direction, first for its money-makers such as trucks and large SUV’s, and in its luxury division (Cadillac), and than everything else after that. The only one’s missing from this is Chrysler-Jeep-Dodge-Ram. Prices will eventually reach a point, where someone will come in with a smaller one that still does the job, and $10k cheaper. The switch will be quick and painful. We have watched this throughout history as an industry pushes the price of their product until there is so much room that someone else comes in. We are watching it with cable right now. Cable is nearly on it’s death bed. I’m thinking of the rivian now tbh. Or something like it. 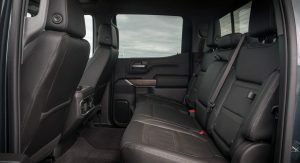 Rivian will be expensive though – about the same as the usual loaded full-size trucks. Silly Matt, electric conversion is in massive effect. We are in the rEVolution. EV’s are superior. Cars, trucks, etc. Rivian and Tesla pick up/Semi will all transform the trucking industry as EV’s have disrupted the auto industry and made gas cars relics of the past. So care to elaborate on what any of that has to do with the Rivian’s price point? Because I don’t remember making any comments contrary to your views. Only fools drop this much money on something that cost closer too $14k to make. Just look to the massively subsidized lease programs, the massive eventual rebates often in the 5 digits, etc. Trucks hold their value tremendously well. Case in point, if the typical affluent buyer purchase a $60k truck, it won’t be an upside down loan, but people who purchase a $70k truck usually makes more than $100k annually or the banks won’t finance it due to personal living expenses. TBH they kind of seem like over-engineered prosumer hardware. The markup is really insane, but Super Duty’s can be optioned with all of Ford’s level-1 autonomous features, safety and convenience tech rivaling the Germans, engines that can two more than 33,000 pounds, comfortable leather interiors with massage, heating, and cooling. Again, the markup is insane, especially as you go up in trims and options, but there aren’t much out there that rival them in R&D. When trucks move to level two autonomous driving 4 years from now, and have hybrid/electric options, it’ll be difficult not to see them as equals to equally-priced products from the Germans. Ford is selling a nearly 100k Ford Super Duty, and it sells! There will be a lot of wrecker trucks hooking up people’s trucks and filled parking lot at banks for default loans with mad investors about bad loans. I never dreamed of driving a truck. Unless it’s the gigantuan Tesla pick-up right? You’ll be salivating over that. That’s even bigger than these ‘normal’ Full-size trucks and will no doubt be incredibly expensive. Then you shouldn’t drive a truck. The reasons you provided for not driving a truck are valid for you. They aren’t valid reasons for me. If you like luxury and need/want to drive truck on a daily basis, then I don´t see the issue with 50k trucks. 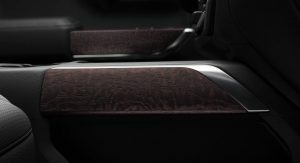 They are really well equipped and capable vehicles, and besides the same can be said about luxury sedans or luxury anything, you could buy a regular Avalon instead of a 5 Series, but you want something nicer, and there is nothing wrong with it. The narrative is all messed up. I could write one about lithium powered EV’s contributing to the “lithium cartel” (4 countries export >80% of the world’s lithium) but the eco fascists wouldn’t have it…. I can hear the goose steps of the editorial staff even now. 2009 was a low point for trucks. Using it as your baseline is misleading. If we had a graph over the last 20 years, adjusted for inflation, we’d see the average transaction price up, but not alarmingly so. Wait! I thought the average vehicle bought is $16k – $20k righ? Wow, this sounds worse than those “over-priced” electric cars. I guess trucks are only for rich people. We’re going to need bigger parking spaces with signs that say “Big Damn Trucks Only”. I bet anything else gets towed out of those spaces. What about those of us who don’t want to be forced in to driving a truck? Is the government going to take our cars away? 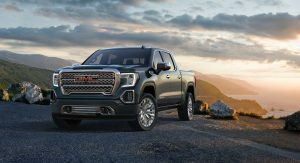 Sounds like automakers are clearly committed to a Truck and SUV future, despite their claims to the contrary.